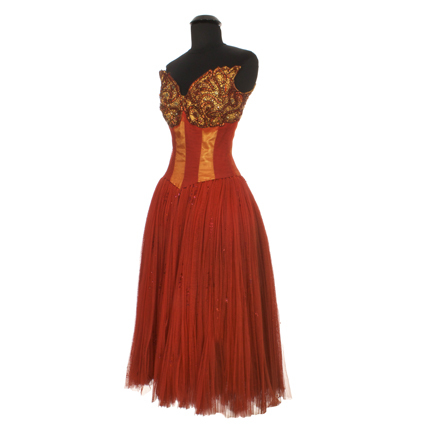 This dress was made for actress and dancer Janice Cameron for an unidentified Paramount Pictures production. 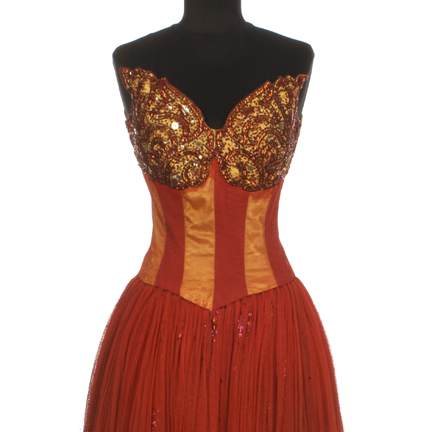 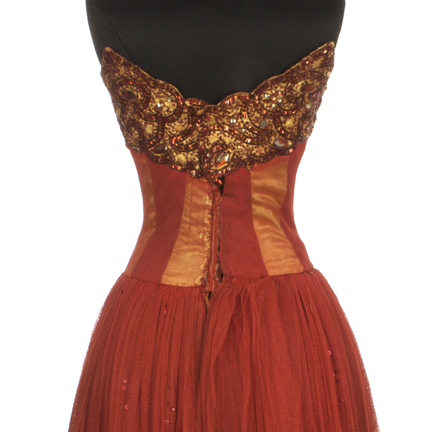 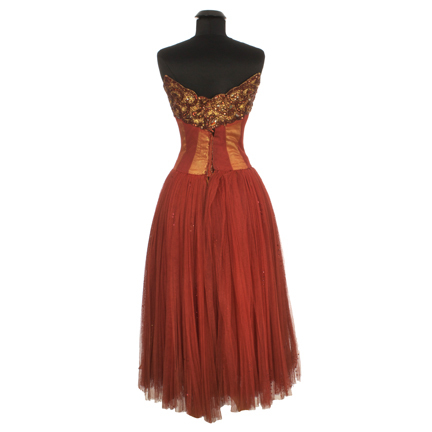 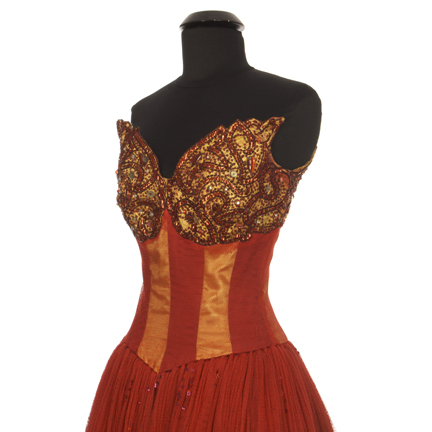 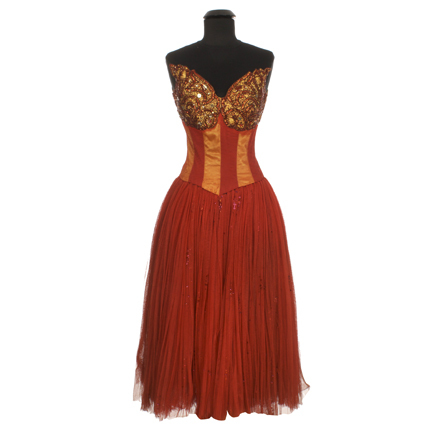 The dress has red taffeta and orange silk panels with a heavily beaded top adorned with sequins and glass rhinestones. 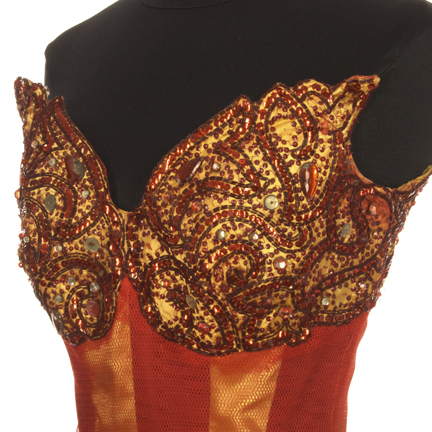 The ruffled shoulder caps have wire build into each tuft. 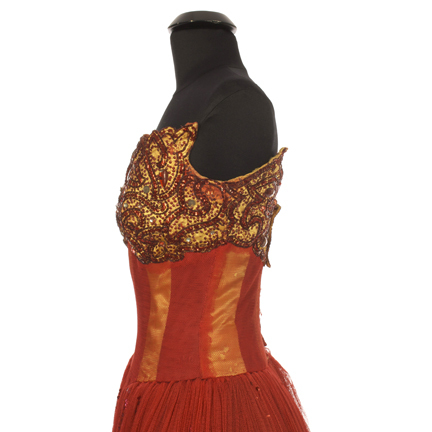 Exhibits some light brown stains and the skirt appears to have been shortened. 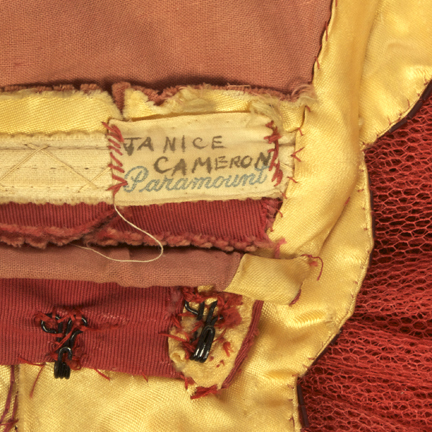 This garment is in excellent screen used condition and is accompanied by a letter of authenticity from the auction house. 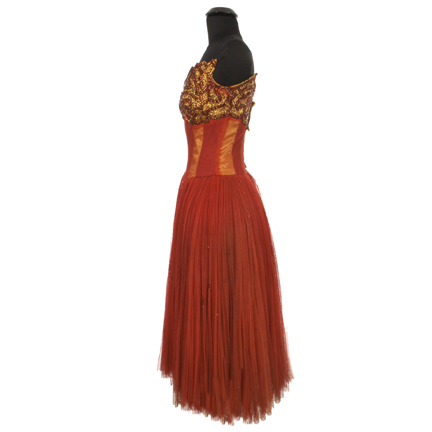 Presented by The Golden Closet, your premiere source for iconic screen used wardrobe, props, and entertainment memorabilia.